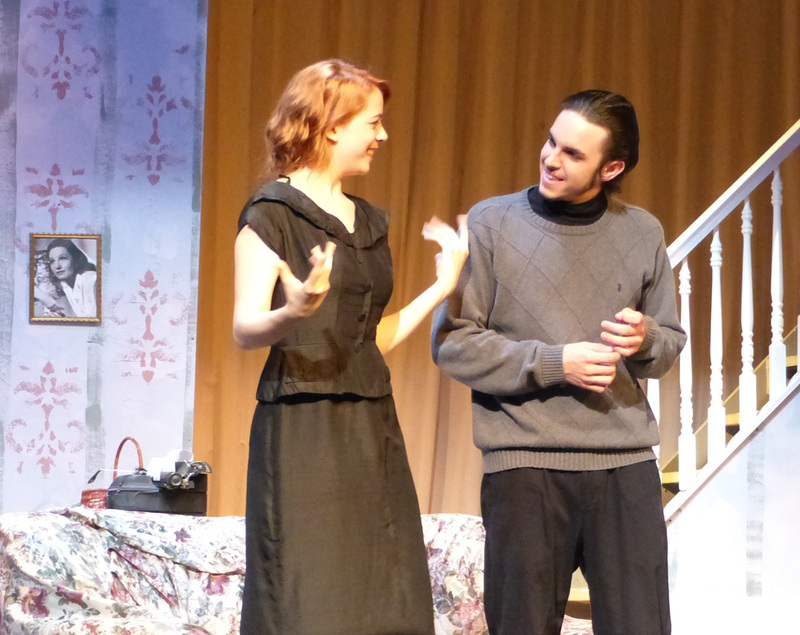 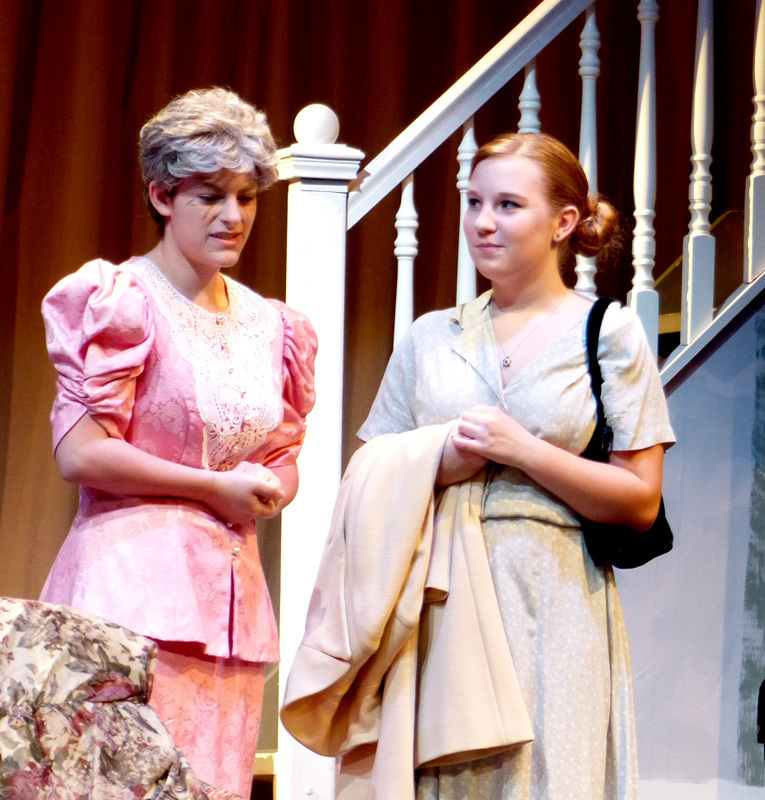 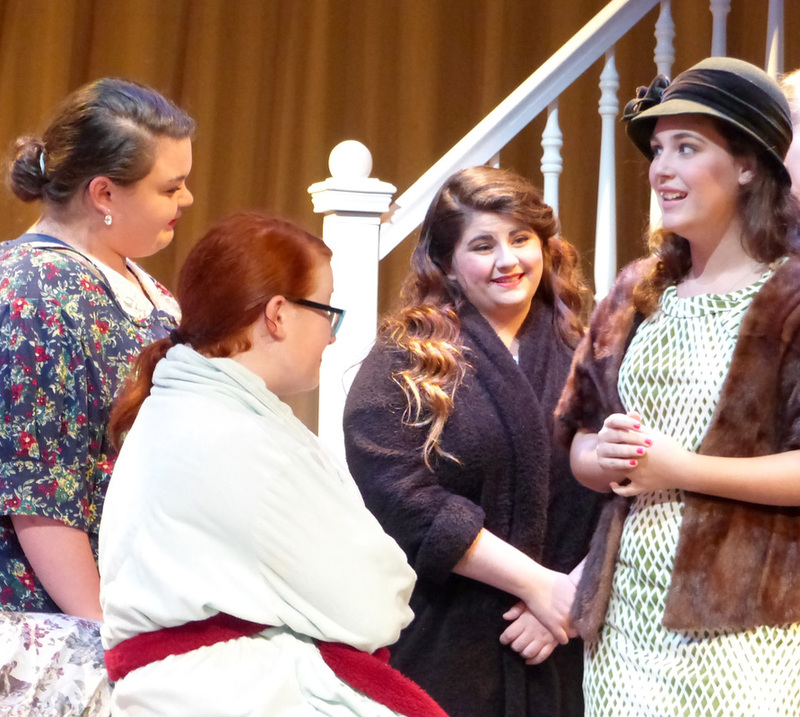 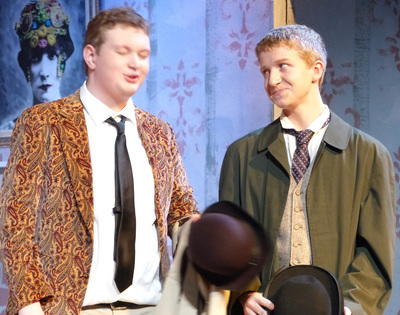 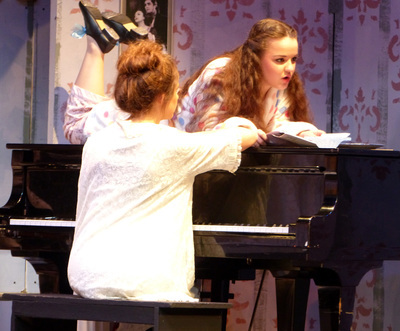 Stage Door, the fall production from the BEHS Drama Club, completed a successful run this weekend. 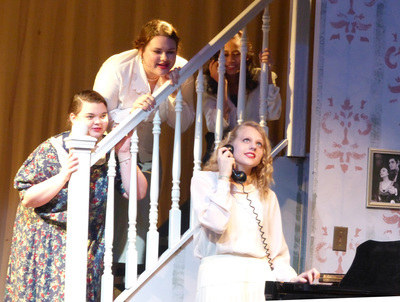 Twenty-eight Bonny Eagle students were on stage Friday night and Saturday afternoon, and played to full houses. 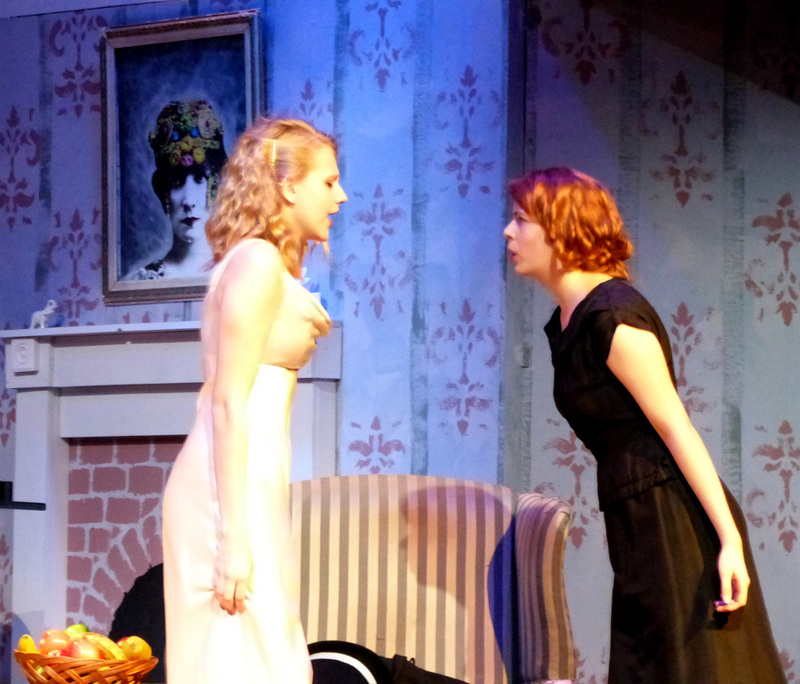 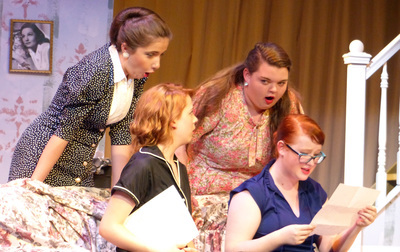 The play tells the story of a group of girls in 1930 trying to make it as actors. The play makes fun of Hollywood, as one actress goes to Hollywood while another actress who is not as talented is surprisingly more successful. 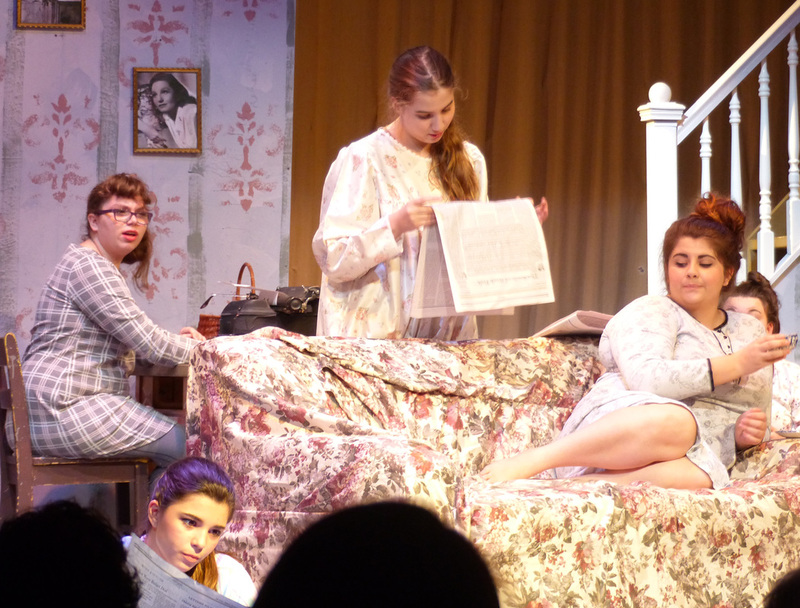 The stagecraft class designed the set: a living room in New York City.